Barney Bubble is an enemy that appears in Super Mario World 2: Yoshi's Island and its remake, Yoshi's Island: Super Mario Advance 3. It is a purple ball with blue feet, though the artwork depicts it as white with red feet. 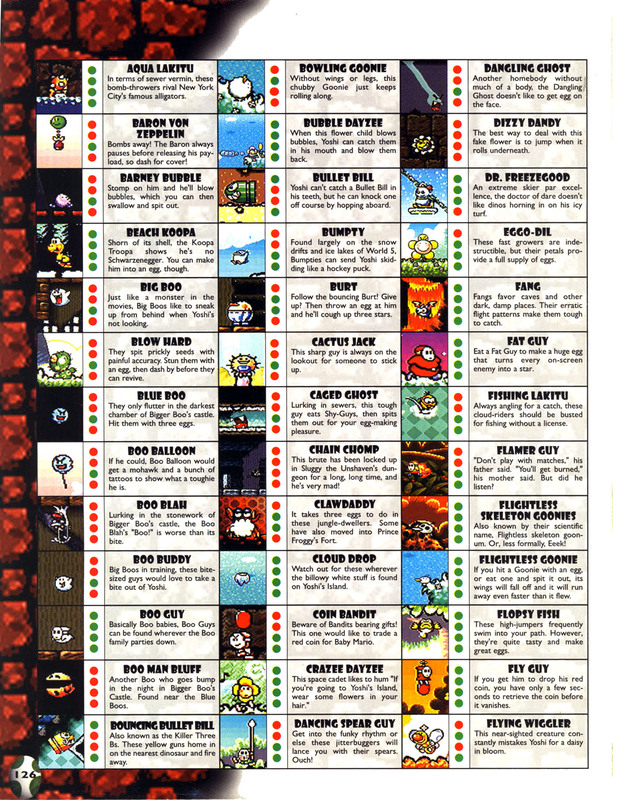 Two Barney Bubbles appear in the Monkey's Favorite Lake level, while the remake adds two more in the World 6 Secret level, Endless World of Yoshis, during the forest area. Barney Bubbles quickly run back and forth. They cannot be eaten and can only be defeated by being hit with an egg. When stomped on, they merely produce bubbles that Yoshi can then eat and spit out himself for a variety of uses. Bubble Dayzees produce these same kind of bubbles. Their name is a reference to Barney Rubble from The Flintstones. 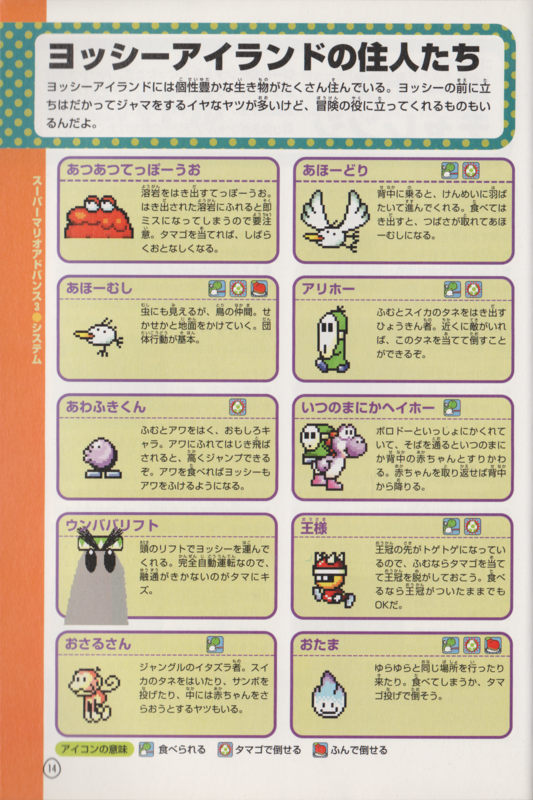 ↑ 「スーパーマリオアドバンス3任天堂公式ガイドブック」 (Super Mario Advance 3 Nintendo Kōshiki Guidebook), page 14. This page was last edited on April 15, 2019, at 00:39.